As I write this blog in my study at home, located on the slopes of Table Mountain near the botanical gardens of Kirstenbosch, I can hear the twitter of birds. They are no doubt communicating with one another, claiming territory, seeking a mate or announcing the presence of a predator. In the world of humans, Twitter is an online social networking service that allows users to send and receive “tweets” that are text messages limited to 140 characters. With over 500 million registered users, Twitter this month became a publicly traded company on the New York Stock Exchange with a market capitalisation of $30 billion — not bad going for a company that has never declared a profit! As a marketing tool, Twitter has a certain logical appeal and this begs the question: should chief executive officers (CEOs) be on Twitter? Although fewer than 6% of the CEOs of Fortune 500 companies have an account, the service does offer great opportunities to engage with customers. 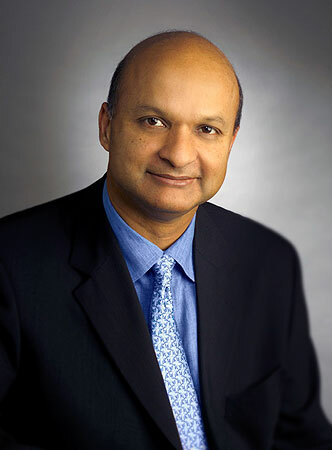 Omar Ishrak, CEO of the medical device company Medtronic, is one such active user of Twitter. Ishrak tweets with a strategy in mind, sending out 4 or 5 tweets per week. He commented, “It allows me to send out my thoughts, and I can get informal feedback to some of the directions we are taking and what interests people, employees and the public at large.” Ishrak’s accessibility on Twitter recently led to an interesting outcome for a patient who has an implanted defibrillator manufactured by Medtronic. Hugo Campos — a self-styled data liberation advocate — had been trying, unsuccessfully, to gain access to the raw data from his implanted heart device. When Ishrak tweeted that he had been using an app called Runtastic to track his progress while running, and posted a picture of his morning run, Campos responded, “@MedtronicCEO Thumbs up on using #mHealth apps to track progress. Thumbs down for not giving same access to patients with your devices #FAIL.” Soon thereafter Ishrak posted a tweet, thanking Campos for his continued input, and promising that his team of engineers would provide access to the defibrillator data. Besides Twitter, there are other social media platforms such as LinkedIn, Facebook and blogs like this one that a CEO can utilise. While many CEOs may choose to steer clear of online networks — because of time constraints or a belief that the risks outweigh the rewards — the bottom line is that social media are now a fact of business life.